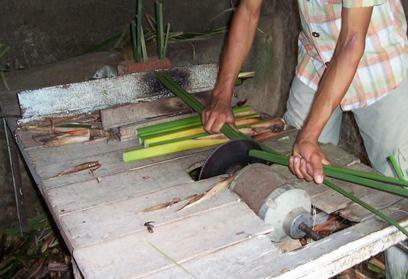 Papyrus making There is 1 product. 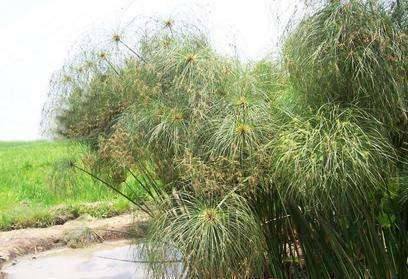 Papyrus paper was made to be used in writing and paintings that depict many ancient Queens and Pharaohs, daily life and the varied storied culture of the earliest Egyptian times, papyrus paper are also being used now in stationeries and other fields like wedding invitations. 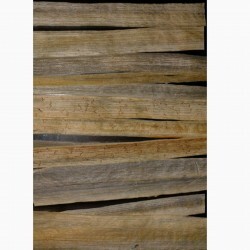 papyrus paper with images of scenes from history and legend these original reproductions for the papyrus paintings are signed by artists to verify the authenticity of our real papyrus paper. 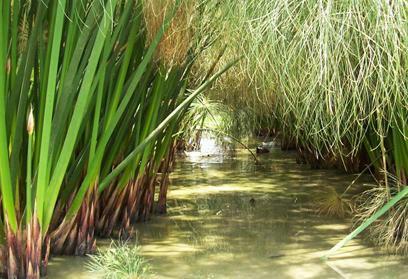 Papyrus paper is the first paper appeared in the world when the ancient Egyptians, thousands of years ago, invented paper from Bulrush Cyprus Plant that grows on banks of the Nile and around lakes and swamps massively, which grow more than two meters height and a thickness of several centimeters. 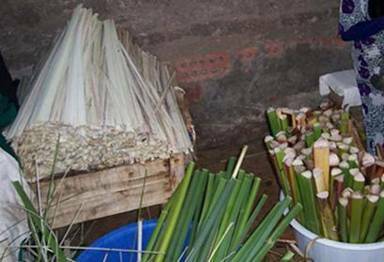 They were bring the reed of the plant and cut the stems into small pieces by the paper size they prefer, and remove the green crust around the white pulp then slice the white pulp by threads of silk with great skill to get thin strips of equal thickness and length. 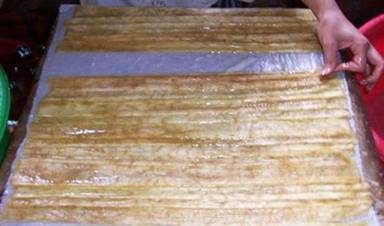 Then another layer of papyrus strips over it vertically, then another texture. 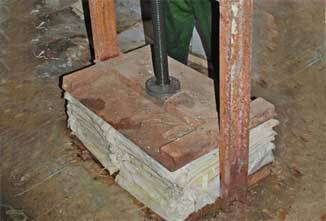 Hence the papyrus paper is ready but after tamping with heavy weight to get red out of the water from papyrus strips. 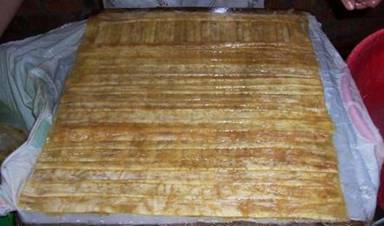 Tamping papyrus papers takes about 3 days changing the textures daily with dry ones to be sure that the textures of the two strips layers of papyrus paper are mixed into each other and the water is totally dry. 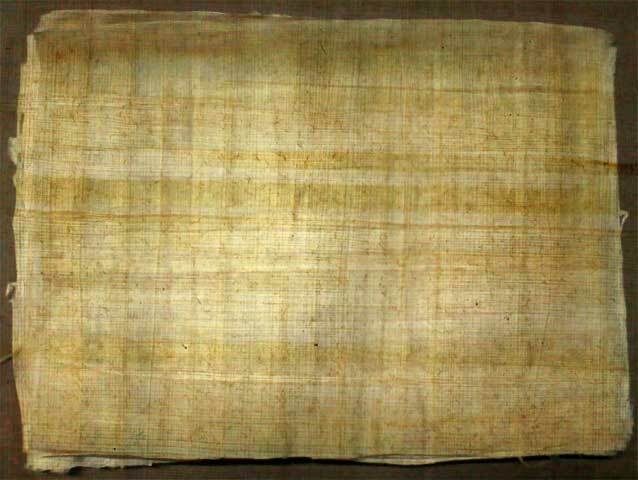 Papyrus paper from the ancient Egyptian age is very unique in that it initially seemed to lack perspective and the artists themselves to some extent appeared to lack the requisite skill level of their global neighbors of the time. This was not the case for the papyrus paper. Papyrus artists were from the best elite of society and their artistic abilities had everything to do with replacing the reality they were papyrus paper painting the reflection of the realism they were living. They painted papyrus paper for infinity and not for their present cultural era. The entire world enjoys the history of Egypt and the antiquities and papyrus paper and statues this society has preserved for us through the past millennia.